This is a partial preview. Full document is 122 slides. View large preview. Includes models and frameworks for improving team effectiveness, team dynamics, learning and development, coaching, motivation, communication, change management and creativity. Applicable to all types of organizations. 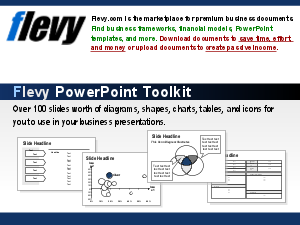 This presentation is a collection of PowerPoint diagrams and templates used to convey 26 different Team Management models and frameworks. Henry Mintzberg? Problem Solving? Supply Chain Analysis? Or something else.